If you frequent personal finance blogs, or even if you enjoy the blog carnivals that I sometimes host on this site, you’ll know that this particular corner of the blogosphere is dominated by American bloggers, many of them excellent. The annual Plutus Awards, also from across the pond, aim to recognise the best financial services, products… and blogs! 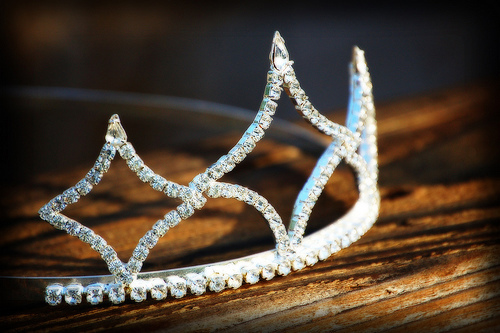 The Plutus Awards 2011 were announced at the Financial Blogger Conference in Chicago at the weekend… and Miss Thrifty was named as the Best International Personal Finance Blog! This was an unexpected honour – I’ve never won a blog award before – and I’d like to thank the American (and international!) readers who voted for this blog. I only discovered A Thrifty Mrs relatively recently, but have been enjoying the posts about scrummaging for charity shop finds, camping on a budget and multi-task cleaning. Oh, and all the lovely photos! A Thrifty Mrs is a frugal lifestyle blog written by a twentysomething journalist and radio producer who, like me, is based in the North of England – but on the other side of the Pennines. My favourite Thrifty Mrs post: 10 Boot Sale Tips. Kylie Ofiu was the only non-UK blogger: props! 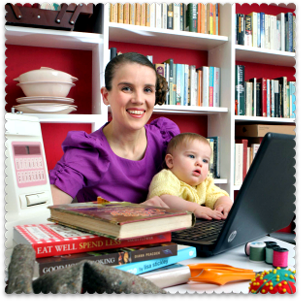 She was also the only one of us to jet into the Financial Blogger Conference, so I like to to think of her as our Plutus International Representative… Kylie is a married mum-of-two living in Australia. Her advice covers everything from spending and saving, to building self-confidence. My favourite Kylie Ofiu post: I lived in a garage. Magical Penny is a personal finance and investment blog dedicated to “growing your pennies” and living a fuller life. Author Adam Piplica shares his own experiences and initiatives as a penny-grower. My favourite Magical Penny post: Investing in yourself, time diversification and my dirty little secret. Last but not least: Monevator . This a UK blog for armchair investors. (I would describe it as a blog for UK armchair investors, but it also has a strong international readership.) The posts about stocks and shares aren’t really my bag, but one reason why I value this blog is for its sharp economic insights, broken down into language and ideas that non-investors (like me!) can readily understand. My favourite Monevator post: Five things to remember after the FTSE’s latest fall. 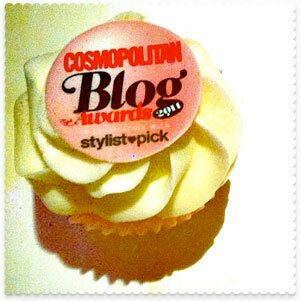 A final note, while we’re on the subject of awards: I hope I haven’t used up all my self-promotional karma, because voting for the Cosmopolitan Blog Awards closes on 9am on 17 October 2011. 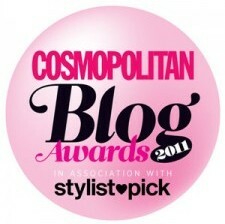 If you haven’t voted yet and you could whack a vote my way in the Lifestyle category, I’d be really grateful. And if you do, please comment to tell me so that I can thank you! Thanks for including my blog in your post. Huge congratulations and good luck! I mean good luck with the Cosmo awards, dur! Thans for the mention! And a huge, really late congratulations on winning! 🙂 Would you consider coming to the conference next year?